Are you looking for something a little different than a worksheet for your students to learn about metric unit vocabulary, reasonable estimates, and conversions? I made this product for my students because they work so well together and learn from each other and their mistakes so easily. There are 48 task cards to this game. 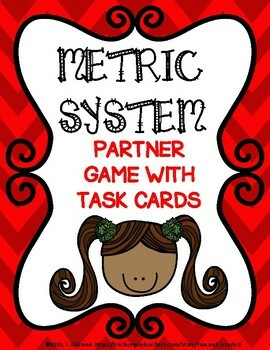 8 cards are basic metric vocabulary; 8 cards are real world examples of each unit; 8 cards ask students to identify the most reasonable metric measurement for a real world object; and 24 cards are word problems that require students to convert metric units. 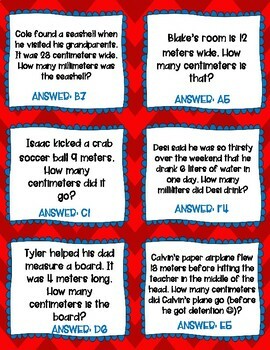 This is based upon 4th grade Common Core Measurement Standards, so the conversions involve multiplication. 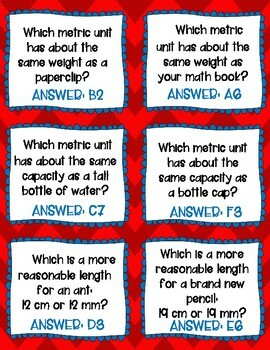 There are scoring cards and answer keys, so the students can check each others answers for immediate feedback. 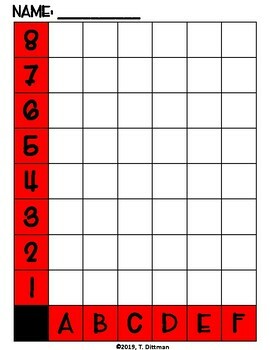 The answer key is set up like a coordinate grid, which makes it a little harder to 'peek'. I hope this is an activity your students enjoy.